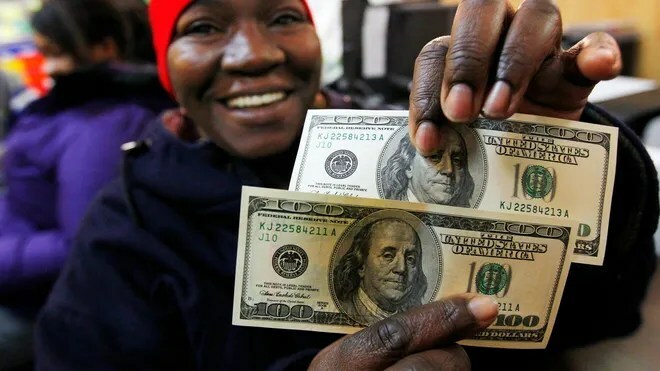 NEW YORK – A wealthy Missouri man posing as “Secret Santa” stunned New Yorkers on Thursday, handing $100 bills to many in Staten Island who had lost everything to Superstorm Sandy. Secret Santa started his day long East Coast visit with stops in Elizabeth, N.J. Keeping close watch over the cash handouts were his security entourage — police officers in uniform from New York and New Jersey, plus FBI agents and former agents from various states. 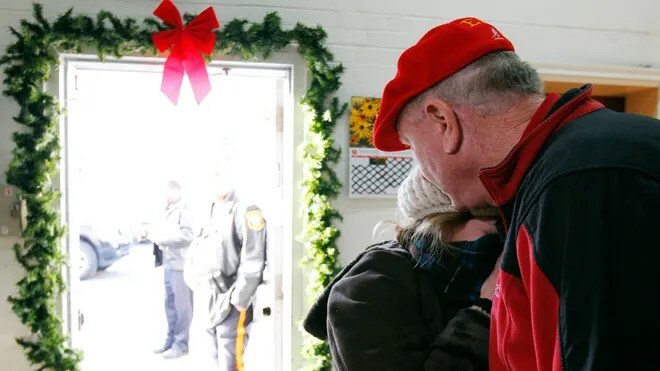 Some have become supporters, wearing red berets marked with the word “elf” and assisting “Santa” to choose locations where people are most in need. He himself wears an “elf” beret and a red top, plus blue jeans. “You’re not alone. God bless you!” the Missouri stranger tells Phillip and Lisa Morris, a couple in their 30s whose home was badly damaged — but now had an extra $300 in cash for rebuilding. Secret Santa took up the holiday tradition from a close Kansas City friend, Larry Stewart, who for years handed out bills to unsuspecting strangers in thrift stores, food pantries and shelters. Stewart died in 2007 after giving away more than $1 million to strangers each December in mostly $100 bills.